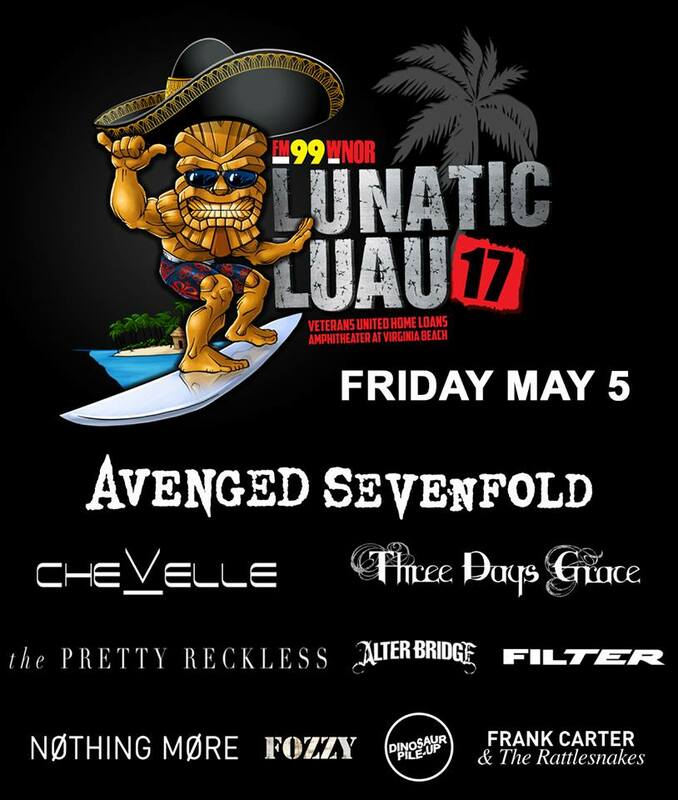 Avenged Sevenfold will headline FM99's Lunatic Luau 2017 in Virgiania Beach on May 5. 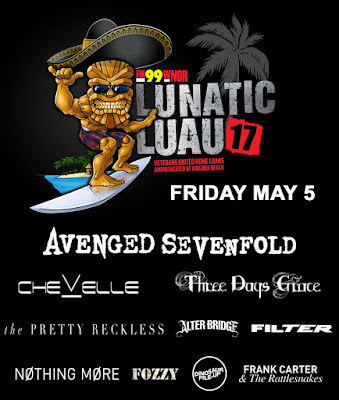 The band said: "We are gearing up to see all you lunatics at FM99's Lunatic Luau in Virginia Beach on May 5th! Pre-sale tickets will be available February 1st at 10AM local time through February 2nd at 10PM local time using the password THESTAGE. General on sale begins February 3rd at 12PM local time. 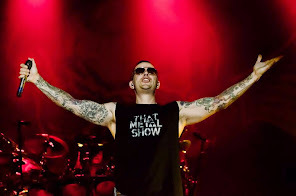 See you in the pit!"